There is something to be said for taking a sabbatical – this may seem odd seeing that we are only two weeks in to the academic year but the idea of taking time off from those endeavours that are habitual and recurrent, the tasks that we do from some misplaced sense that they actually need to be done and that they make some difference to our daily existence, can be a good thing. This extended recess for adults can apply to anything from housework, making meals and doing laundry, chauffeur service, brushing the dog, getting dressed, answering the phone when we know it is not for us or those million things that we automatically do in the course of our jobs that we have just gotten used to and that are often taken for granted or overlooked. The grown-ups in our direct sphere of influence can pretty much fend for themselves, in fact it might do them a world of good, so Across the Bored is (this week anyways) working to rule, not so much on strike as withholding time and effort that would be better spent on putting our own sh*t in order. The virtual world is no exception nor are other pursuits no matter what form they take. When we start to ask ourselves why we are doing things, it is time to take a breath, step back and creatively refresh and regroup. Taking a cue from others who have done the same, for all intents and purposes, the Two Cents Tuesday Challenge is now – Out. Pingback: My awkward way with words | My thought exactly...! Moving forward is fine – it’s getting back that’s worrisome… Thanks for your entry! Because everything else should wait where music is concerned! To be upon the ocean! That’s where I try to go to unwind. So, are we out (or off) for the winter, or “indefinitely”–or just wait ‘n see? I’m happy for a break–I tend to do the hamster wheel till my hair’s standing on end. Keeping you in my prayers always–and will watch for more entertaining TV ads. 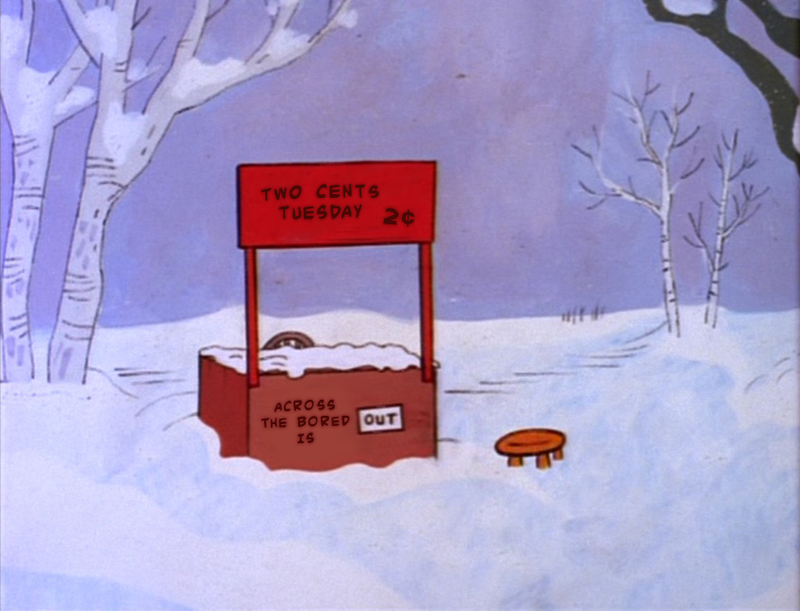 I am giving the Two Cents Tuesday challenge a bit of a break primarily because of lack of interest – while readers “like” the post itself, it doesn’t seem to motivate them to actually respond in any way… Perhaps I will pick it up again later in the season but for now it will be my rant zone! Watch out rough road ahead! I am also going to use my temporary mood swing to become a little more selective about the posts I do spend my time on. Huh–guess I hadn’t paid attention to “reader participation”, since I’m always on “bored”. Ranting sounds kinda good…for awhile. Do whatever you do–I’ll likely be here. You and a select few faithful were the ones to keep me going with this challenge for as long as it did – what p’s me off is that alot of my readers participate in other challenges regularly but that is just me being five today… Tomorrow I will rise above such things and resume my zen outlook on things! I so love it!! You “being 5”–I get like that about blogging, so now I feel better! I’m a big commenter–and the bloggers interact with me on Their blogs, but not many are over at mine, reading/commenting. Guess my poetry is just too obscure…ho hum. I was going to say something (reference to “Fatal Attraction” movie) but I don’t think I want to scare off the few readers I have! Oh, how I wish I could take a sabbatical just to write. I would travel to Ireland and find my muse and leave everything else behind. My days are spent with completing the routine. Just doing, doing, doing. I don’t know if I can call this living. Is it merely existing? Just barely – it is, now more than ever for some kinds of women, to reassess whether we can or should be doing it all. I get the impression that there are a whole lot of people surrounding us that don’t seem to be working as hard or running as fast. Something’s gotta give! Ain’t that the truth. I am like a hamster in a wheel. I have to stop spinning…NOW! I’ve just returned from 3 weeks vacation and the vacation made me realize (even more than before) how boring, routinely and pointless my job is. I’ve started keeping an eye out for a better job, but most jobs that are out there are boring, lame and pointless and all about just getting money to pay the bills. Work is basically just modern slavery for the benefit of the banks. I could never go back to a 9 to 5 job – no matter how tight things get (it seems to be feast or famine on a rollercoaster) there is nothing like being master of your own time… I’m that bad parent on the block that tells young people to get skills in school but look for something they love that they can do without sacrificing their life and time to a multinational…. I teach. However, the more the government intrudes, the less my job is about enlightening the students than it is making them conform.